20% off ANY Order! WOW! Enter the “JEKYLL” code and get 20% off any (or all) of the Lulu editions of my books for a hauntingly good read – just in time for Halloween! The offer is good for the next three days only… through October 26th. 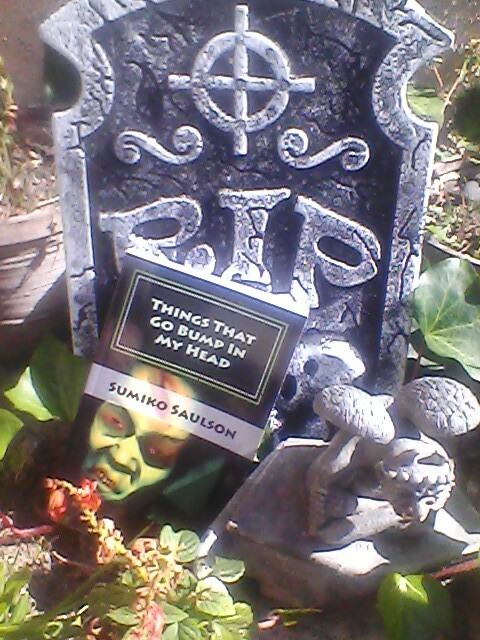 You can get any of my full length novels, or my new short story anthology, “Things That Go Bump In My Head”. “Things” is a mere $12.95 ordinarily, so with this coupon that’s only $10.36! Also: you can get Lulu books by other great local authors, such as Serena Toxicat, author of “Paper Wings” and “Evangeline and the Drama Wheel”. 5.0 out of 5 stars Twistedly Precious! An offbeat collection of uniquely twisted stories, short but not too much, just perfect for reading on a transit ride or while waiting on something tedious like laundry. Some are tied into other works like ‘Warmth’ others are a bit relf-reflective…all are completely different and I invite you to take it along on a dreary day to liven things up. ~ by Sumiko Saulson on October 23, 2012.